Here are 3 simple yet very beneficial avocado oil treatments for your hair to improve its softness and shine, and even strength and thickness over time. There is no need to buy expensive commercial conditioning treatments when these are so easy to make at home, all from ingredients straight out of the kitchen. Let’s have a look at 3 easy and natural ways to improve your hair tonight with avocado oil. Blend 2 to 4 tablespoons of cold pressed and unrefined avocado oil (depending on length of your hair) with 2 to 4 tablespoons of extra virgin coconut oil and heat them in a saucepan on a very low heat until warmed to a comfortable temperature. If you have it, you can add a few drops of rosemary essential oil and mix it in. Other essential oils like lavender or sandalwood can also be used, but rosemary oil is known to be especially good for thicker hair and a healthy scalp. Apply this hot oil hair mask to freshly washed hair and gently massage it in. Cover with a shower cap, or ideally wrap it in a very warm towel you don’t mind washing and leave for fifteen to twenty minutes. Wash out well as normal, but you won’t need any conditioner after this hot oil treatment. Many people online say they’ve never felt their hair as soft or seen it so shining as after using the natural hair mask. Whisk up 2 tablespoons of avocado oil, 2 tablespoons of extra virgin olive oil, 1 tablespoon of honey and 3 tablespoons of natural yogurt (the real yogurt, not the sugary ‘fruit’ stuff). Smooth this hair mask over damp hair and gently work it in. Cover with a shower cap and leave for 15 to 20 minutes. Wash out thoroughly, preferably with a good chemical free shampoo like this, but as with the hot oil treatment, you won’t need any store bought conditioner after this avocado oil hair mask has done its work. The easiest of all avocado oil hair treatments is to simply buy a natural conditioner, with as little chemicals in it is possible, squeeze some out and add a similar amount of avocado oil to it while it’s in your palm. Mix it together in your hands before rubbing the avocado conditioner into your hair as you would normally. Leave it in your hair for a few minutes before washing it out. You might need to do this a couple of times for longer or curly hair to get the best results. Not having hair long enough to really warrant the other hair masks above that often, this is the avocado oil hair treatment I usually do myself. I’ve definitely noticed a difference in the shine, strength and even thickness of my hair since using avocado oil on it like this. I actually keep one bottle of this extra virgin and unrefined avocado oil in the bathroom as an oil treatment for my hair and as a face moisturizer. Another one I use just in the kitchen for healthy cooking at high temperatures and as a great tasting salad dressing. Regardless of where you keep it, avocado oil is best stored in a dark cupboard, away from the sunlight for the longest shelf life. As good as these avocado oil hair masks and treatments are at bringing some quick strength and shine, really healthy hair comes from good internal nutrition over time. Avocado oil has many health benefits, including improving your hair’s thickness and shine, when you make it a regular part of your diet. For the best kind to get see the page on where to find good quality versions online. Great article and tips, thanks much. I have only one question, would it be better if I use the treatment overnight for like 4 or 5 hours wearing a showercap? Hi Javier and thanks for your question. I have put in avocado oil treatments in mid morning and written with a towel around my hair for much of the day. The results are definitely better, I’d say even more so for the scalp. So if you have the time please do so. Overnight might be a bit risky with the oil getting onto your pillow. As 30yr + working cosmetologist I have found that natural ingredients work best! Having recipes like these are very helpful. Thank you! Thanks Gretchen. I agree. You also get to avoid a lot of questionable chemicals as an added bonus. Is it bad to put just avocado oil by itself? No that’s fine. I sometimes do that if I’m short on time and it’s still effective. Can I put the Avacado oil on while my hair is wet and rinse it later at night? It might be good to have your hair covered to prevent drips but the longer you have avocado oil on damp hair the more it will penetrate and moisturize. Where can I find the avocado oil? 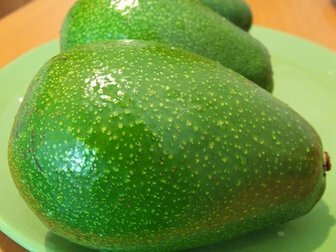 Do you use an actual avocado? The article itself has a good link and the following page at the end has further options. So it’s ok to heat the avocado oil and use it? Or is it better to use it at room temperature? Avocado is fine heated as it’s very heat stable. What about just adding avocado oil to my store-bought conditioner, for everyday use? Yes this would be a simple way to use avocado oil for better hair. I tend to think it’s so moisturizing you’d probably only need it a couple of times a week. Will it be less effective if I put it on my hair a few days after it’s been cleaned, rather than on freshly cleaned hair? your readers. We can use what we want,and also pass on to others new ideas. Both are good for your hair but I haven’t tried combining the two. They’re likely better alternated with avocado oil for more regular treatments and castor oil for occasional really deep conditioning. I prefer the ease of in the shower or freshly washed hair which seems to absorb the oil better when damp, though have read of using castor oil on dry hair. Freshly cleaned hair would be better but the hair’s natural oils wouldn’t be as bigger barrier as styling products. What if you have thin and fine hair ? And do we have to re shampoo the hair after avacado and coconut oil treatment? Avocado oil should be very good for this, particularly the hot treatment. Both are good for thin and fine hair and will make them thicker. You can shampoo but won’t need any conditioner. I bought pure Avocado Oil from an African Store. If I mix Avocado, Coconut, and Rosemary Oil together and apply to me and my son’s hair would that help it to grow longer and thicker? We are both natural and I am letting his hair grow out for locs. I was told by the salesman at the store that the Avocado Oil needs to be applied daily…if I mix all 3 is that good? Can i leave the avocado oil in my hair or do i have to rinse? im also looking for a good oil which is better argan oil or avocado oil? Can I use avocado oil on a 5 years ol baby girl hair? There’s no reason not to use avocado oil on a baby’s hair. It’s safe for all skin types. You can but some find it a bit oily and better to wash out after an hour or so. Avocado oil and rosemary oil is a good combination for hair growth. Coconut oil can be good as well but if it’s too heavy try just the other two. Every second day or twice a week is also fine. I don’t think every day is necessary. i have both avocado and lavender oil. instead of using coconut oil, is it prudent to use mustard oil? According to this article, we basically have to wash hair twice?? (once before and once after hot oil treatment). i have dandruff issue.. would it help?? Mustard oil is often recommended for dandruff and would mix well with avocado oil, though I haven’t used it before previously so couldn’t advise on the amount to use. There’s no reason not to use just avocado oil as the base oil if you prefer. Leaving avocado oil on your scalp with one of these treatments is usually very good for this. Much better than mayonnaise which usually has inflammatory fats that could be causing this. Also be sure to get lots of healthy fats like avocado and oily fish in your diet. Yes refined avocado oil for hair is ok. I think unrefined is better for skin and much better internally though. Wow, didn’t know avocado can do wonders. Thank you for sharing, definitely try avocado conditioner. Thank you for sharing. Hi there and thank you for your positive comments. Replenishing the scalp environment with natural treatments like this can often help to reduce hair fall. Can I use coconut oil mixed with avocado oil? You can but I recall other commenters not having good results with this. You may find it better to alternate the two once or twice a week. Do you think it will help thinning hair as well? You had said its good for strength, but I’m not sure what you meant. I think pumpkin seed oil, both taken internally and potentially as a hair treatment are even better for thinning hair https://superfoodprofiles.com/pumpkin-seed-oil-hair-loss-prostate-problems though natural hair treatments like this do improve the condition of the scalp and can help. i have two questions… first one can you use the oil everyday/night if needed to ? or you should try to stay away from using it everyday ? second question .. after leaving it on for a while can i just wash it off .. like rinse with just water or do i have to use shampoo every time ? You could use avocado oil in the hair every day but I suspect there wouldn’t be much benefit as opposed to using it every second or even third day. You can also just rinse it off after the treatment but the residue will stay on the outside and likely show on your pillow after sleeping. Usually, after 20-30 minutes on your hair, avocado oil will have penetrated the hair shaft well and shampooing the residue off from the outside is fine.